I was part of an extremely talented Research & Development (R&D) group at Callaway Golf with a large budget for advanced technologies projects. I was also very fortunate to have worked for a number of very bright technical managers while working in a variety of roles at Callaway. Through the years I was given increased responsibility working on Player Profiling, Digital Human Modeling, and Club Fitting projects that were all part of the Product Player Matching initiative. I started as a Research Scientist in the Research Advanced Technologies Group, advanced to a Senior Research Scientist in the R&D Product Testing Group, then to a Senior Research Scientist in the R&D Product Customization Group, on to a Senior Research Scientist in the Innovation & Advanced Design Group, and finally advanced to an Innovation Specialist in the Innovation & Advanced Design Group. 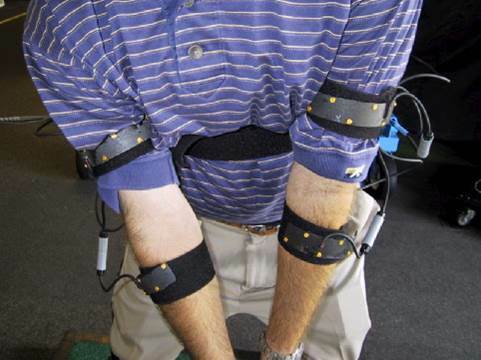 A large part of my responsibilities were to select and implement appropriate advanced measurement technologies to analyze the golfer swing, player-club interactions, and to develop player profiles for Product Player Matching club fitting initiatives. I developed, operated, and managed the Player Performance Bay in the RCH Callaway Golf Test Center employing a number of different advanced technologies. 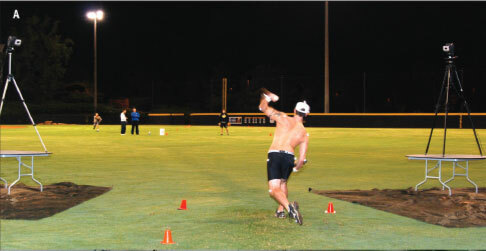 This included an NDI Optotrak optical tracking system, Polhemus electromagnetic system, an interchangeable on-board diagnostic (OBD) MEMS-based inertial tracking shaft measurement and data acquisition system, high speed video, a dual system launch monitor that recorded both pre-impact club motion and post-impact ball launch conditions, and custom pressure sensors to measure dynamic human grip forces during the swing. Many of these advanced technologies were used simultaneously in multi-sensor swing studies (MS3) for advanced scientific analysis of the golf swing all triggered for impact synchronization. I have over 10 years of experience with both passive and active optical motion capture systems, electromagnetic systems, and inertial motion tracking systems. This includes system setup and calibration, data collection, post-processing, visualization capabilities, and outputting data in any desired format. Due to my experiences I am uniquely qualified to analyze the strengths and weaknesses of motion tracking technologies as I have used all 3 types of systems for advanced sports science applications. Each technology has positives and negatives and is really dependent upon the end use requirements for selecting the appropriate system. An additional factor, and probably the most important, is how the motion output data will ultimately be used. The choice of most appropriate motion tracking technology ultimately comes down to the following factors in order from most important to least important. 1.) Cost – as with any advanced technology, cost is the most important parameter for selection criteria; and the range of costs for motion tracking technology is extremely variable; optical tracking systems are significantly higher than any other technology on the order of $100,000 plus for most systems, though the end cost is most dependent upon the number of cameras necessary to capture the motion; magnetic tracking systems cost much less than optical tracking systems, and 4 sensor systems can be purchased for $25,000+ all dependent upon the number of sensors required and the analysis software that is included; inertial tracking systems are the cheapest of all motion tracking technologies and will continue to come down in price due to improvements in manufacturing and demand for MEMS based electronics; the hardware costs for inertial tracking sensors are very low around $500 – $1,000 per sensor for a well engineered 9DOF sensor with high angular rate and acceleration capabilities and including onboard memory and communications protocols; the price for these systems can be extremely variable based on the exact specs of the sensors, the number of units produced, and on-board data storage and processing capabilities; the biggest cost with inertial tracking systems is the associated software fusion and analysis software used with the sensor suite. A.) Kinematic analysis – this is the most basic and most common use of motion tracking data; this is used in EVERY motion tracking study and is a requirement for the next two types of analyses; because it has to be performed, it is really not a selection criteria; rather, the methodologies used in kinematic analysis ARE important; kinematic sequencing analysis is a very powerful end use of any kinematic analysis regardless of the technology used; as was discussed in marker placement protocols, I believe that one of the limitations of using optical motion tracking systems is the kinematic algorithms used for sports performance analysis; I am a big proponent of using rigid body measurement techniques for kinematic analysis as there are too many issues with angular velocity calculations with many optical system marker placement protocols. B.) Inverse dynamics – this biomechanical modeling techniques provides more powerful analysis capabilities but is used relatively infrequently; unfortunately, most sports data scientists are limited to the tools built into the motion tracking technology that they are using; and motion tracking technologies are only concerned with the accuracy of their tracking and not concerned with subsequent modeling steps; inverse dynamics analyses still suffer from limitation with the kinematic algorithms and marker placement protocols used in the associated kinematic analysis. C.) Forward dynamics – this is an extremely powerful biomechanical modeling technique but is almost never used in sports performance studies; that is because of the dependence on the marker placement protocols utilized, subsequent kinematic algorithms used, and the techniques used in inverse dynamics studies; this used to be a very time-consuming process that required years of modeling experience to produce tangible results; with advances in software capabilities and computational power, it is now fairly easy to produce very powerful forward dynamics studies for sports performance studies in virtual training sessions; with an appropriately built forward dynamics model, appropriately collected motion tracking data can be used in a virtual test environment over and over to analyze parametric performance studies without ever having to collect more data. 3.) Speed of Movement – the angular velocity of the body segments being measured in sports science studies has a big influence on the data collection procedures used. Skin motion artifact refers to the problem where markers placed on the skin move relative to the underlying skeletal structures. The video below showing Tim Lincecum pitching shows just how violent the high speed motion of the throwing arm is in any overhead throwing motion. The purpose of mocap studies is to estimate the pose of the underlying skeletal structure. However, as muscles contract and relax during skeletal movements, the markers or sensors placed on the skin (or attached to a velcro suit) will also move. During the high speed motion seen in sports performance studies, this can become a huge problem. It is important that marker and sensor locations are selected that minimize these motion artifacts. Another consideration is if cables are used. Some active optical systems incorporate cables connecting the LED markers, and both magnetic and inertial systems require velcro straps or sleeves to hold the sensors on the subject. Cable lengths and strapping are key considerations for these studies to ensure that cables are not slapping the subject during high speed motions or the markers end up moving too much during the motion. One important note: this does not refer to sampling speed which is the rate at which data is captured. That is also an important consideration, but is independent of this discussion. 4.) Environmental conditions – environmental considerations are a relatively new problem for mocap consideration. 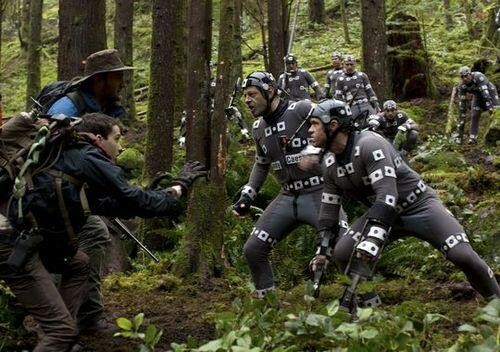 Only recently have optical mocap systems had the capability to be used outdoors or in rainy conditions. This recent advance is mainly the result of Hollywood animation requirements for big budget films. While this is not as big of a factor in sports performance studies, passive marker motion tracking technologies have inherent environment considerations because of reflected or direct sunlight causing problems with marker reflections, thereby restricting their use to indoor laboratories only. 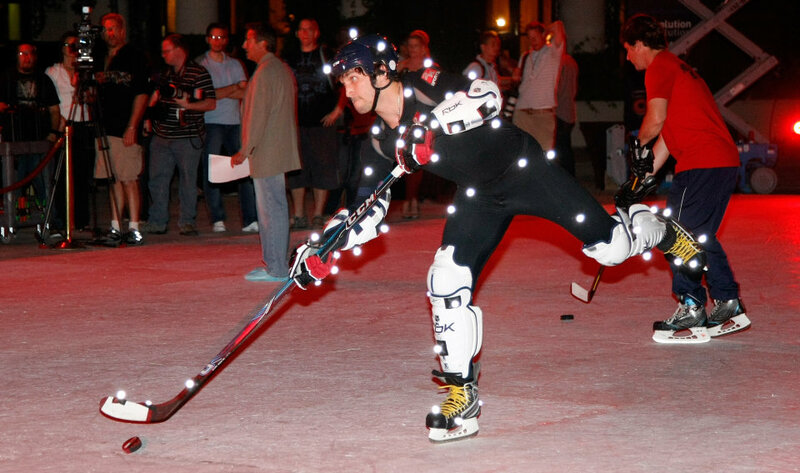 However, the use of motion capture systems in outdoor settings is becoming ever more common. 5.) Activity requirements – there are certain instances where the motion capture markers will be placed under more physically demanding conditions than the marker systems were originally designed for. 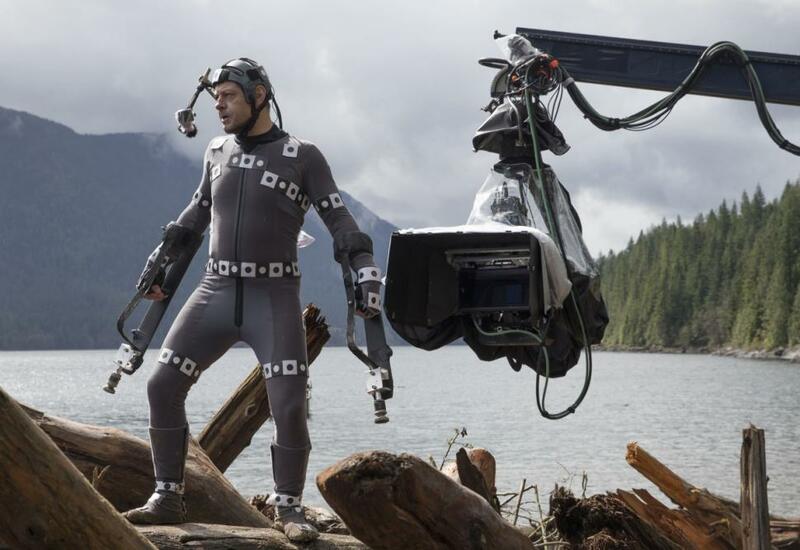 Hollywood is now using motion capture as a performance capture tool in which ever increasing demands are placed upon the actors. Scenes are now captured where multi-subjects will be engaged in physical activity in rainy or muddy conditions and the markers need to hold up to the physical demands on the markers. Again, this is not as big of a concern in sports performance studies. However, in most sports performance studies, markers are often placed on hand-held objects such as hockey sticks, golf clubs, baseball bats tennis rackets, etc. These hand-held implements are subject to shock from impact and that needs to be considered for sports performance studies. Also, the physical surface volume required for data collection is also important for activity considerations. Magnetic tracking systems only work in small confined spaces and thus can not be used if the study requires the athlete move around the field or lab in space. Large capture volumes also require more cameras for optical motion tracking systems which drives the price of the system up considerably. 1.) Inertial tracking systems – I would always default to inertial tracking systems due to cost, ease of implementation in any sports environment, real-time analysis and visualization capabilities, and most importantly the direct measurement of local rigid body angular velocities and accelerations as opposed to global 3D positions. I would advise against the use of these systems only if the sensors do not meet technical specs for the angular velocity requirements needed for the study, if cabling or velcro use impedes the natural sports motion too much for true performance replication, or if extremely accurate 3D positional data is required for forward dynamics modeling. This technology has reached a tipping point where it should be the first motion tracking technology used for almost all high performance sports applications as evidenced by the success of Catapult Sports. We used a custom-built in-shaft inertial system at Callaway Golf that was used both indoors and outdoors that could not be detected by players unless they were told it was there for player profiling studies. 2.) Magnetic tracking systems – I would recommend magnetic tracking systems for rotational sports activities such as golf and the baseball swing which use kinematic sequencing mostly in their analysis capabilities. These systems offer pretty good results for a relatively low cost compared to optical tracking systems. They offer real-time analysis and visualization capabilities and some systems offer bio-feedback capabilities. 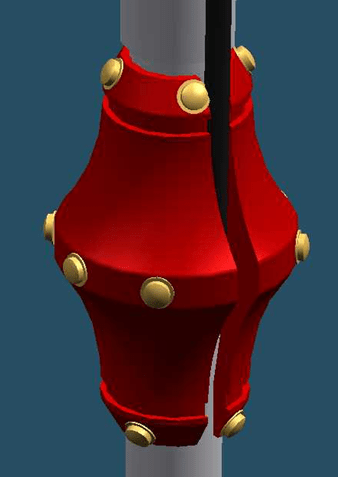 They also offer portability and can be used most anywhere that there is no metallic interference. They also provide 6 DOF rigid body outputs for each segment that has a sensor, which is much better than kinematics derived from 3 DOF 3D positional data of optical tracking systems. The use of cables strapped to the body can be self-limiting for some high-speed sports motions. The tech specs can also be a limitation compared to inertial tracking technologies, especially for angular velocities for overhead throwing activities. The accuracy of angular velocities and accelerations is also not as good as inertial tracking systems because they are derived quantities. These systems do provide better global 3D position data than inertial tracking systems as it is directly measured, although it is not as accurate as optical tracking systems. We used a Polhemus magnetic tracking system with customized AMM3D software for real-time visualization and analysis capabilities at Callaway Golf for swing studies that did not require highly accurate 3D positional data for subsequent modeling activities. 3.) Optical tracking systems – for most cases I advise against the use of optical tracking systems for high-speed sports performance studies. Unfortunately, most sports performance centers use these types of systems as they were one of the best solutions 10-15 years ago. That is no longer the case with modern day inertial tracking systems. The only time I advocate use of optical tracking systems is if very accurate 3D positional data is necessary for forward dynamics modeling development and verification. Otherwise the other technologies offer too many advantages to recommend these systems for high speed sports performance studies. I used an NDI Optotrak system for this purpose at Callaway Golf in which we implemented a very thorough subject calibration process in order to create very accurate forward dynamics models and virtual product development (VPD) modeling. We typically performed these optical motion tracking studies while also using a modular shuttle OBD inertial motion tracking system inside the club to verify angular velocity and acceleration readings on the inertial tracking system.